RJ MANILA TECH: KINGMAX: Are you a PC overclocking buff? KINGMAX: Are you a PC overclocking buff? There are specific risks that come with overclocking a computer. Nevertheless it is excitement arising from such risks that make this “extreme digital sport” that much more satisfactory and fulfilling for overclocking enthusiasts. It is a true challenge of users’ knowledge of different settings to make a PC system run at a higher speed than it was designed to operate at, while keeping all parts and components working for as long as possible. While the experience of users plays a vital role in successful overclocking process, the quality of PC products may also contribute to outstanding performance. To match a CPU running in overclock, overclocking memory would no doubt be the most important component. With the premise of being capable of achieving higher clock frequency, the quality of IC dies would also affect the stability and lifetime of overclocking memory. While this may sound inconceivable, KINGMAX’s premium DDR4 Nano Gaming RAM 2800MT/s comes with a price tag comparable to 2400MT/s memory. Doing away with heat sinks, KINGMAX relies on its exclusive nano-cooling technology as the main selling point for its Nano Gaming RAM. Utilizing this patented technology that achieves more effective cooling, KINGMAX delivers value to users in the form of reduced price point by eliminating under-performing heat sinks from the equation. In addition to advantages such as high clock frequency, low power consumption and low CAS latency, users can even attempt to configure DDR4 Nano Gaming RAM 2800MT/s to operate at 3200MT/s – shocking performance for even the best DDR4 overclocking memory that are available in the market. In the hands of tech-savvy users, the product will allow them to challenge even more extreme overclocking performance. 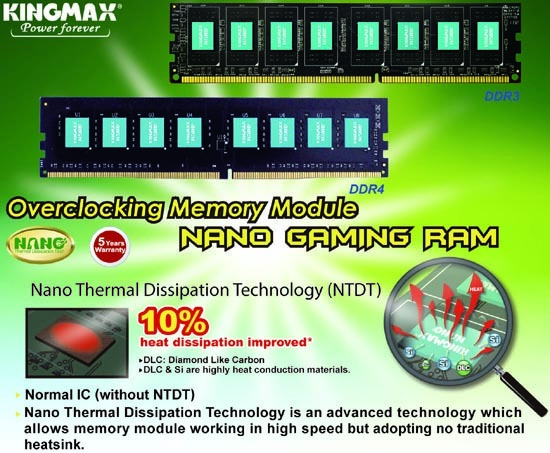 For users who still have the DDR3 interface (240-pin) in their systems, KINGMAX hasn’t forgotten them; not with Nano Gaming RAM still selling like hotcakes! 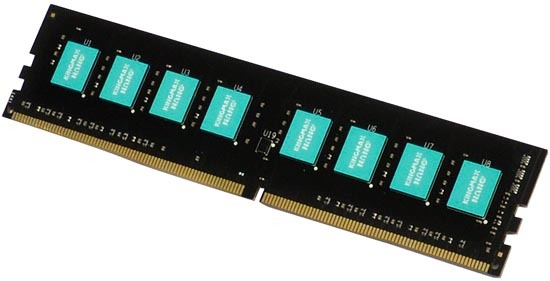 With the best bang for the buck and exceptional quality, Nano Gaming RAM is still the best choice amongst similar products with its incredible durability and high stability. With plug-and-play, the product has been hugely popular among gamers for its automatic overclocking features (if the system supports it). Both the 1866MT/s and 2133MT/s are popular products that PC game enthusiasts aspired to challenge the next level of overclocking can’t afford to miss.